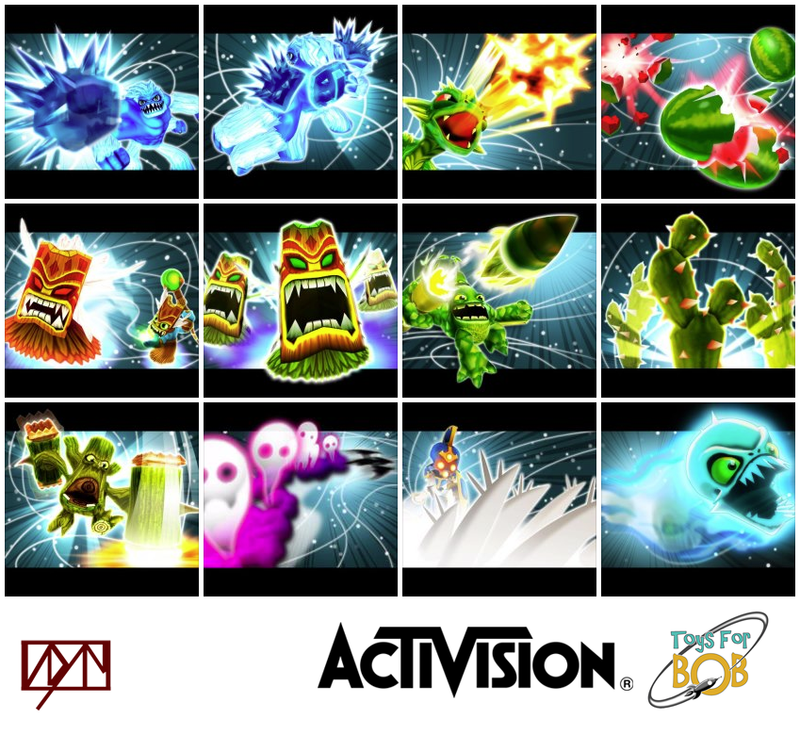 These are Character Upgrade Art screens, which I did for the first Skylanders game. There were 32 characters, each with 13 abilities. As a contractor on this project, I produced over 400 of these. With the art director, we collaborated and set the style for overall look. I did layout sketches, texture and model touch up, backgrounds and effects, as well as additional character modeling. Below are a small selection from the entire set. Join the adventure on the Nintendo Wii, Playstation 3 or Xbox 360! Special Thanks to the animators at Toys For Bob for the screengrabs.